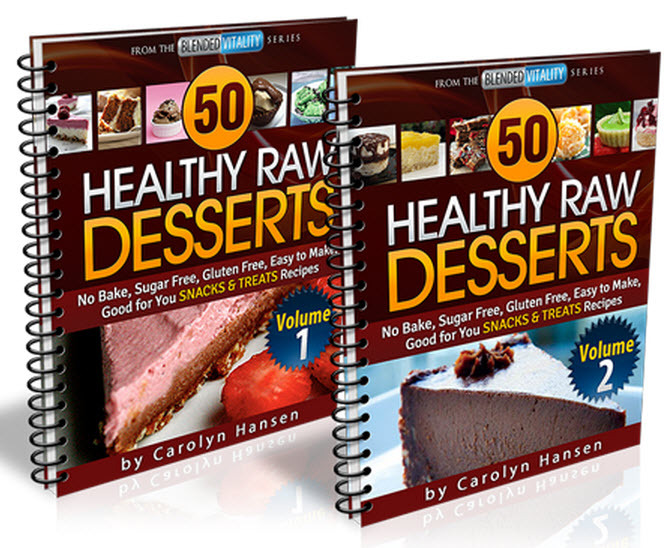 From snack bars to cookies, pies and cakes all the recipes you will find in “Healthy Raw Desserts” volume one and two are unprocessed, easy to make, wheat, gluten, dairy and sugar free! These treats pack loads of flavor and nutrition into every bite even though they seem deceptively simple. When you substitute these mouth-watering snacks and desserts for the traditional baked treats you are more familiar with, you will be giving your body much needed nutrients while sacrificing none of the flavor. 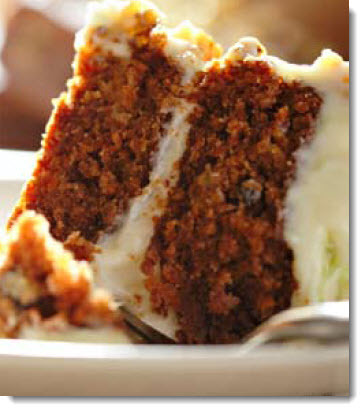 Have you ever created dessert without using sugar, flour, dairy, soy or eggs as ingredients? If that seems impossible, you are in for a grand surprise! Not only is it possible it is the preferred way to prepare snacks and desserts. Made with only raw live food ingredients that make you look and feel great. If your goal is to live a long healthy vital life…then you need to be paying attention to what you are eating now. It really is that simple! The introduction of live “raw” foods into your diet is critical to your long term overall health. These raw foods can include nuts, seeds, vegetables, sprouted grains, and beans. These foods are neither process, heated, cooked or altered in any way. They are whole foods in their natural state as nature intended. Although I cannot pass on to you the methods I used for coming up with these recipes for healthy raw snacks and desserts I can make it easy on you by putting the recipes in your hands. The good news is you do not need to be an experienced cook to make the incredibly great tasting snack recipes you’ll find in these books. I’ve done all the work…all you need to do is follow the recipes and put your blender to work. Eating more raw food actually allows excess body fat to melt away so not only will you be enjoying some great tasting treats, but you’ll actually be aiding your body in getting rid of unwanted fat and that’s always a good thing! 1 cup dates soaked at least 30 minutes then drained, 1/2 cup desiccated coconut. Place nuts and dates in food processor and blend until a sticky crumb like consistency. Sprinkle dried coconut on bottom of 8-inch pie pan with a removable base. Press macadamia nut mixture onto coconut. 2-3 cups mixed berries, such as blueberries or raspberries. Place all ingredients in food processor and blend until smooth and well combined. Pour mixture onto base and freeze 1 to 2 hours, or until firm. Remove from freezer, slice while frozen, and transfer to serving platter. 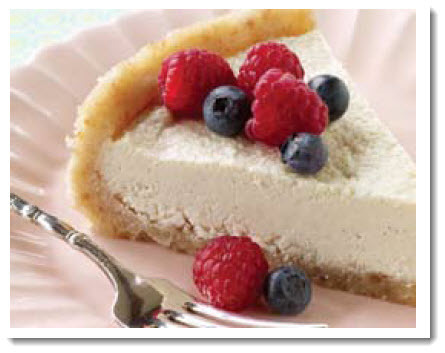 Defrost in fridge 1 hour or on countertop 30 minutes; top with berries; and serve. Grate the carrots either by hand on a grater or in a food processor fitted with a grater blade attachment and place in a bowl. Place walnuts, dates and apricots in food processor and blend until crumbly. Add to grated carrots in bowl, add spices and mix well. Transfer the mixture to the food processor and blend in two batches until the mixture comes together and holds its shape. Tip back into bowl and fold in coconut by hand. Set aside while you make the Lemon Cashew Frosting. Place the cashews, raisins, warmed and melted coconut oil, lemon juice and zest in food processor and blend, continuously scraping down the sides, until a thick creamy paste is formed. This could take a while… just be patient and keep scraping. You can add a few tablespoons of water to encourage the cashews if you get impatient. Into the bottom of a cake pan with a removable base place one half of the cake mixture. Then place a layer of the frosting and then another layer of the cake mixture. Then place the rest of the frosting on top of cake. Place cake in fridge for a few hours till set. All you need to do now is wait for the compliments!